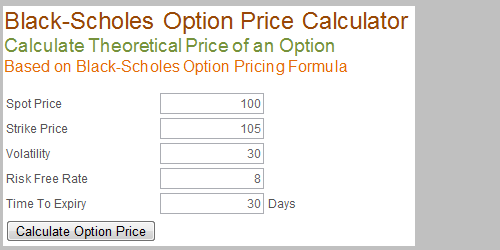 OPTION DELTA measures the sensitivity of option premium to the changes in the price of the underlying. Delta is an essential risk management tool in option trading. Read more about Delta and other Option Greeks. SMART OPTION TRADING STRATEGY involves taking a view / bet on the price movement of a particular underlying for a particular time horizon, deciding on an option strategy (single or combination trades) and estimating profit / loss potential of the strategy before placing the orders. Option Strategy Analyzer is a simple online tool with "what-if" capability to estimate the potential profit / loss of your option trades based on your bet on the future price movement of the underlying.